Location: Mahola Ulawe Sub-Location, West Alego Location, Uranga Division of Alego Usonga Sub county,Siaya County. 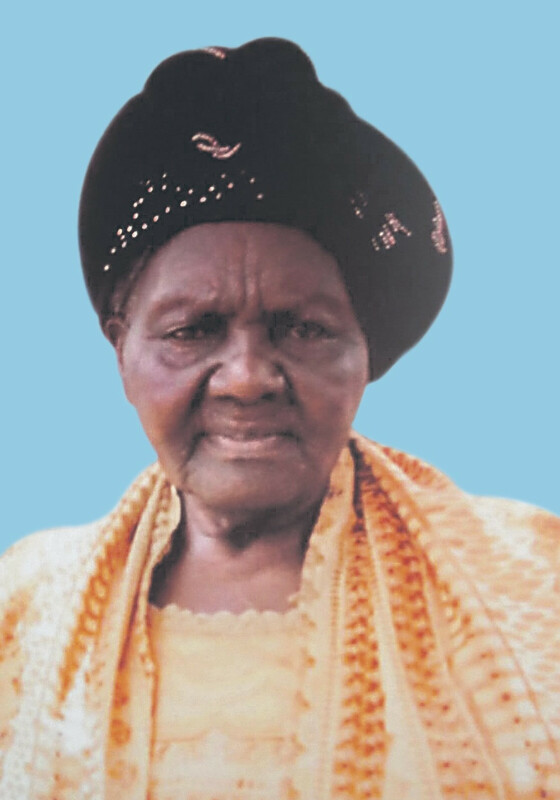 It’s with deep sorrow and humble acceptance of God’s will that we announce the passing on of Matriarch Damaris Priscah Auma Odongo. Daughter of the late Stephan Toddo and the late Agnetta Onundo. Wife of the late Dickson Odongo. Mother of the late (Jane Celine, Jael Pamela, Phillip Nyadimo, David Stephen, Owino, Joyce Atieno) James Onyango and George Owino Odongo. Sister of the late (Edward Ogolla, John Okello and Dr. Apollo Toddo). Mother-in-law of the late Jackline Nyadimo, the late Margaret Nyadimo, Rev. Captain Rebecca Owino and Josephine Ouko (Deputy County Commissioner Kisumu East). Cousin of the Nyadimos, the Omollos, the Oderos, the Olajes, the Okuomas and others. Auntie to the Okellos, the Opondos, the Apondis, the Oduors, the Odipos, the Ngalos, the Toddos all Nyikwa Ogolla and Nyikwa Olwande. Grandmother of the late Chrsipine, Dickson, James, Damaris, Juliet, the late Kevin, Bolden, Shawn, Jael, Mary, Shawnelle and Paul. Great grandmother of many. Family, friends and relatives are meeting daily at her village home in Ulawe. The cortege will leave the Bama Hospital Mortuary on Friday the 25th for overnight vigil at her home. The funeral service will be held at St. Stephen’s ACK church Ulawe. Burial will on 26th at her home in Mahola Ulawe Sub-Location, West Alego Location, Uranga Division of Alego Usonga Sub county,Siaya County.